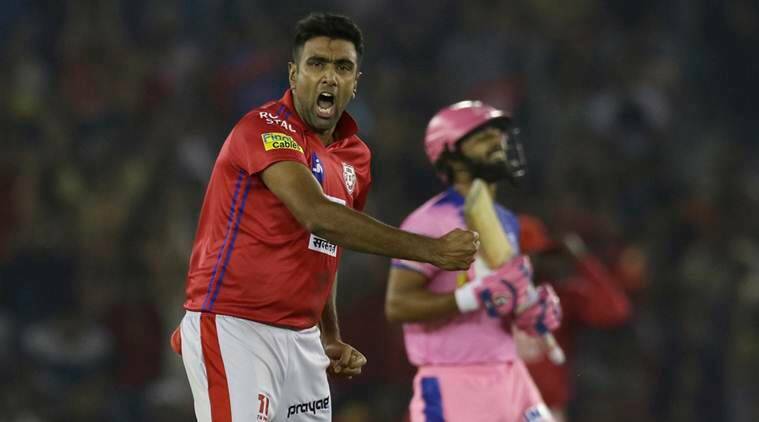 After securing a crucial 12-run win over Rajasthan Royals, Kings XI batsman David Miller heaped praise on skipper R Ashwin for displaying his all-round skills and stated that the Indian spinner is a huge asset to the franchise. After securing a crucial 12-run win over Rajasthan Royals on Tuesday night, Kings XI Punjab batsman David Miller heaped praise on skipper R Ashwin for displaying all-round skills and stated that the Indian spinner is a huge asset to the franchise. After playing a cameo of 17 runs in just four deliveries, the Indian cricketer claimed two wickets and gave away 24 runs in his four-over quota to help his team climb to the fourth position on the points table. “Ashwin has contributed extremely well with bat and bowl,” Miller said at the post-match conference. “His bowling has been extremely good. His economy rate has been really low and he’s got wickets as well. He has been a huge asset in our bowling department and again tonight he bowled really well and it was great performance leading from the front,” the South African added. Miller also mentioned that both the spinners (Ashwin and Murugan Ashwin) made great use of the field conditions and kept the hosts in the contest. “We tried to use big side of the boundary to advantage. Both Ashwins bowled extremely well, they kept us in the game in that middle period… Rajasthan needed 50 odd in the last three overs, but our bowlers did their job and we are happy with that,” said Miller. However, everything didn’t go in KXIP’s favour as Moises Henriques and Mujeeb Ur Rahman picked up injuries giving the franchise a scare in the second half of the season. While Henriques picked up the injury just moments before the match as the team was warming up for the fixture, Mujeeb hurt himself during the clash. KL Rahul’s half-century and Miller’s 40-run knock in 27 balls helped Punjab post 182/6 on the board in 20 overs. In response, Rajasthan got off to a decent start but lost their rhythm towards the end of their innings. Mohammed Shami, Ashwin, debutant Arshdeep Singh picked two wickets each as the visitors could only manage 170/7 in their respective 20 overs.